Why should people seriously injured in Missouri or Kansas or the families of those killed in Missouri or Kansas consider our Kansas City law firm? This firm offers focused representation to those seriously injured by the negligent or intentional acts of another person or corporation, the families of those killed due to the negligent or intentional acts of another person or corporation, and those abandoned or treated unfairly by an insurance carrier in Kansas City and elsewhere in Missouri and Kansas. This represents ~97% of our case load. Some lawyers handle divorces on Monday, tickets on Tuesday, wills on Wednesday, drunk drivers on Thursday, and then, if there is enough time, personal injury cases on Friday. There is nothing wrong with that, however, we think our focus allows us to better represent our clients. We do not promise quick settlements to our personal injury clients or the families of wrongful death decedents. There are occasionally instances where cases settle quickly, but most of the time a quick settlement is substantially less than the true value of the case. We prepare our cases for trial which maximizes the settlement value but takes time. If you want an attorney who is simply going to make a couple calls and accept whatever an insurance company and/or defense attorney is willing to offer, there are plenty of firms on TV and billboards who are willing to settle a case prematurely. Some of these firms have no intention of taking your case to trial because they plan on having another set of attorneys (often called their “network”) handle your case for a cut of the attorney’s fee. Perhaps this is a bait-and-switch tactic. We leave that determination to the individual client. We strive to offer personal and professional legal representation to our clients and to be the most accessible law office in the Kansas City area. With that in mind, we provide our cell phone numbers to our clients. We provide our personal email addresses to our clients so they may call or text at their convenience. We don’t instruct our staff to screen phone calls. We are happy to meet with our clients at our office or in their homes. Feel free to call or text me on my cell phone (913)406-0732, call my office (816)531-4600, or send me an email to verify. I may not be available due to a court hearing, meeting, etc., but I will call you back once I am available. At their most basic level, the term “contingency fee” means an attorney’s fee that is “contingent” on the outcome of the case, meaning it is a percentage of the case recovery whether the case is settled or goes to trial. In practice, different injury and wrongful death law firms have significantly different contingency fee agreement terms. This law firm handles Kansas City, Missouri, & Kansas personal injury and wrongful death cases on a contingency fee basis that is different from most law firms. Our attorney’s fee depends on the timing of the case - our fee percentage for cases that settle quickly is usually less than half of the attorney’s fee percentage for cases that are filed in court and go to trial. Some firms charge a flat 1/3 percentage whether the case is settled in 30 days or through trial 3 years later. It is our belief that a “flat” contingency percentage makes many cases “unprofitable” if taken to trial which can result in a failure to properly prepare a case for trial or an attorney pressuring the client to settle. Other firms require clients to pay for expenses up front, as they accrue, and/or regardless of the outcome of the case. This firm has never asked a client to front our office’s case expenses, nor do we ever require reimbursement of expenses in cases where there is no recovery. 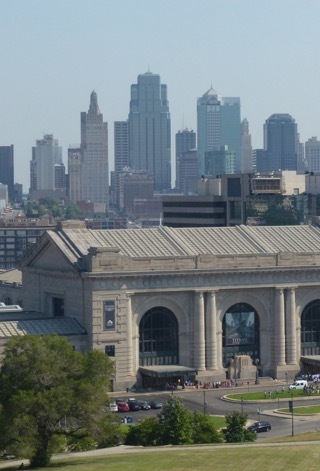 It is our belief that our varied contingency fee percentages and policies regarding expenses are advantageous to the client and allow us to more effectively pursue Kansas City, Missouri, and Kansas serious injury and wrongful death cases.